Monster Curry sounds more like an animation rather than a restaurant. 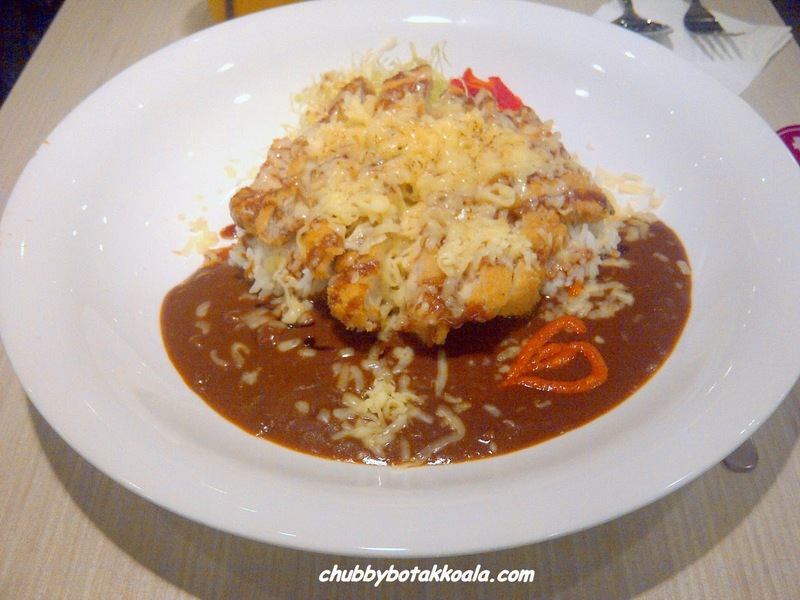 However, in Singapore Monster Curry is restaurant serve a jumbo size Japanese curry with different type of protein such as chicken, eggs, pork, prawns, fish and scallops. I was looking for a place to grab a quick bite after collecting my rewards from one of the food review website. 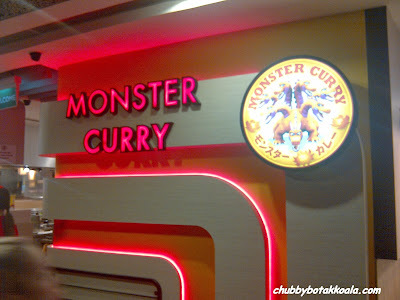 When I spotted Monster Curry, my cravings for Japanese curry just get the better of me. 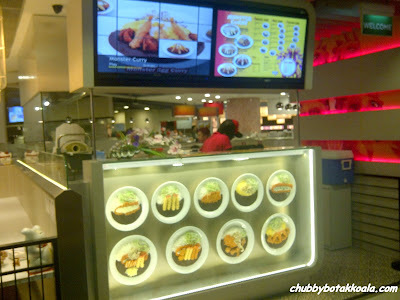 Quick look at the menu, I decided to order Cheese Chicken Katsu Curry ($14). You actually has a choice of spicy level from 1 (normal hot) to 5 (monster hot). I decided to went with normal hot. When I grab a seat after ordering, then after looking around the area, I realised that I was in a deep trouble. I saw how huge the plate was and normally each couple is sharing one dish. So when the dish come, I was staring at a 30cm in diameter huge plate. The rice filled more than half of the plate and the protein is the same size as the rice, with shaved cheese covering the top of my pork katsu. On the side, a few pieces of Japanese pickle and shaved cabbage. Staring blank at the plate, I was starting to wonder how am I going to finish it. The pork katsu is quite tender and the batter is very thin and crispy. The curry is thick, flavourful and generous in portion. As I have only ordered a spicy level of normal hot, they added only one chilli sauce heart shape. Although the katsu is tender, it is also very lean, so you can feel on some part to be dry, instead of juicy all over. For the curry, it is served just like a sauce instead of with potatoes and carrots like other normal Japanese restaurant. Service wise is very minimum. You place your order in the counter, make payment and they send the food to your table when it is done. So interaction with them is very minimum, other example of Japanese fast food culture with low labour cost involved. Like a normal Japanese establishment, we are still greeted very warmly as we enter or exit the restaurant. Overall, I find the portion is tremendous and generous, so you won't mind paying a little bit more. Thus, if you are looking for a place to satisfy your Japanese Curry, give this restaurant a try. I assure you that you won't come out unfulfilled. Kanpai! Cheers! For other location, check out their website.